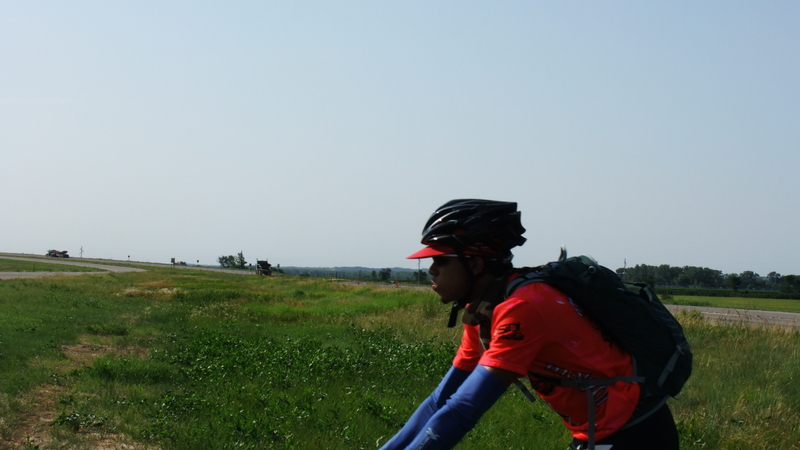 Spoke 'n Revolutions Youth Cycling Changing Lives and Bringing History to Life, One Revolution at a Time! I accepted a challenge from this group call “Spoken Revolutions”, I knew the task was not going to be something easy but that’s exactly why I joined. I left home on June the 22nd two days before my birthday, and headed to Indiana, the home of Mrs Sue”s relatives, there we had our first group family dinner played some games and I even had my own little birthday celebration with little cupcakes for me and everyone in the group,thank you Mrs Sue and Kevin for that one, I was not expecting that surprised. We started biking the day after and head to the next state, the first days were the toughest but I always tried to stay on the lead just to prove to myself that I’m not the slowest neither the weakest one, so if I’m not in most of the tapes that’s because I’m in the front. The challenge ended up being the biggest mental, physical challenge I’ve ever faced since we have had to fight against many natural and mental challenges throughout the journey, everything from winds that would blow you off your bike to the ground to 5 and 6 mile hills that would make you want to get off your bike and be like”I’m not doing this anymore, this is absurd and I don’t even know why I’m doing this”. But there is more good then there is bad, you know what the law of gravity says, everything that goes up has to come down and that’s when the fun starts. Anyways the adventure has been great, I’ve climb the slippery mountains of the Bad Lands of South Dakota, and got lost on the Geyser Basin of Yellow Stone National Park, right where they have all the cool volcanic vessels, I’m hot-headed sometimes, I went exploring the whole park and my goal was to check out every Sauna on the park and so I just walk all around the huge park by myself looking at the cool steaming looking vessels, it was incredible to be honest, I would have never thought there were lakes that have multiple colors in the interior but with such clear water, the smell that it spread was like Hydrogen Sulfate. When I’m biking it feels like I’m in total control on my actions and with the amazing view around me, it honestly feel like if I was inside a video game, is really a very positive feeling you get when you make your way up one or two big hills, but that’s something you’ll have to figure out yourself lol. The group activities and the moments we have spent together is being difficult for the most part but at the end we end up coming together as a big weird non-alike looking family. Anyways every single one of the riders are very special kids in their own way, we all are very smart and “I trust them all”. I’m making an appeal. To say things are tense would be a great understatement. Because things have been tense before but not like this. Not at all. Maybe it’s the economy or just that I haven’t done a good enough job of telling how amazing these kids are. It’s probably a combination of both. Lord knows I’ve tried but I’m not a writer or a very good story teller so a few things get lost in translation. What I’m trying to say is that we didn’t’ get funding from our major donors this year. A new donor was discovered and they gave generously but we needed the support of a few more. So, this close to the game, in the 11th hour, we’re at risk of not doing the Buffalo Soldiers and Lewis & Clark tour. In all honesty, this grass roots effort is just roots at this point. 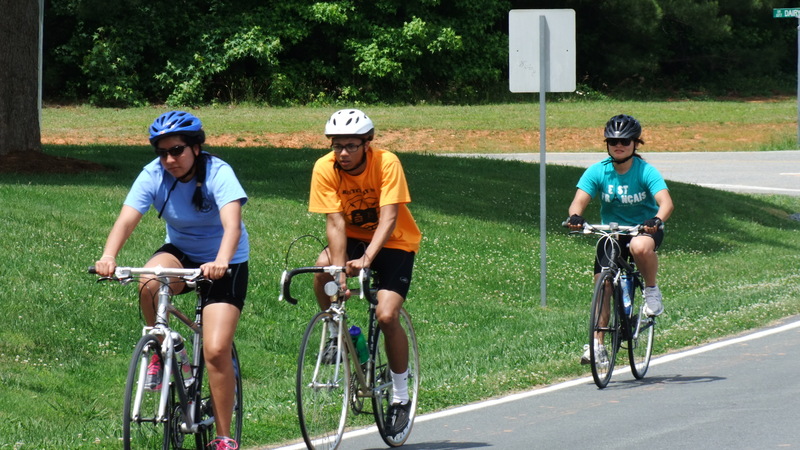 The idea of getting teens on bikes was crazy during the time when they’re starting to drive. But it worked because we’re tapping into something that’s a core part of them. The idea of discovering new places and meeting new people. Travel. An opportunity that the majority of the teens in our group won’t get too often. Not under their own power, not where they feel in control. Pedaling every foot of the way until we reach the day’s destination. THAT empowers and excites them and that is what allows us to plant in their now fertile ground the idea that they are truly amazing individuals. That’s where we water it with leadership skills, team building exercises, history lessons and confidence. Telling them that whatsoever they put their mind to they can accomplish it. When we weren’t riding Suepinda was working with each senior on their college application process, helping them develop their essays and brag sheets to tell their story of what sets them apart from the thousands of other applicants. And for a few of them the ride IS what set them apart, was the thing that gained them acceptance and for two of them scholarships. That work is hard and it encompasses over a hundred hours of activity with the teens and sometimes discussions with the admissions director. In a nutshell, SnR is me and Suepinda. Camelia Lee joined us this year to assist in keeping us from going crazy. Rich Giorgi has a team that he works with on the bikes we use while he teaches the teens fundamentals of bicycle repair and Bob Brogden provides the history backbone. We have a plan to make this a fantastic program. More phenomenal than it is now and as amazing as the teens we work with because we know the donor funding model is not completely sustainable. And appeals like this, well, can be draining on a person. So, here’s the appeal: If you believe in our mission and what we’re doing is great. If you believe that given the opportunity people rise to the occasion. And you understand that we provide that opportunity to teens please consider donating $5 or $10. That small contribution will be put to good use and will go a long way. It seems like a drop in the bucket but eventually the bucket fills. Once you’ve done that, pass this appeal on to your friends and colleagues. Even to people you don’t think even likes kids. We can do this with your help. Thank you for reading this far. I feel silly and risk sounding foolish but I take that risk because I do it for the kids. The Buffalo Soldiers and Lewis & Clark Tour begins!